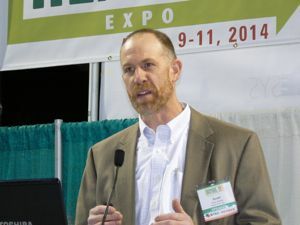 In the May issue of Hearth & Home magazine, James Houck wrote a lengthy criticism of the 1988 and 2015 NSPS, Straight Talk”, in which he took the “gloves off ... to tell it like it is.” It is essential reading for anyone who wants to better understand the science and politics of regulating wood stoves. Jim goes on to explain why we are going down the wrong path. The 2015 NSPS essentially adopts the same test method as the 1988 one: a method based on grams per unit of time, not grams per unit of fuel, or better yet, grams per unit of heat. He also very clearly shows how both the EPA and industry have ignored basic science by, for example, claiming that certified stoves reduce pollution far more than the data shows. The best data shows an average decline in PM of nearly 50%, yet the EPA often claims its 75% and industry 90%. The key question is, can manufacturers make genuinely cleaner stoves regardless of the EPA regulations? Put another way, do manufacturers have the expertise and innovation necessary to take stoves to the next level despite poor regulations, or does the NSPS retard innovation and require that stoves continue to be designed according to faulty parameters? There are good arguments on both sides of this debate. the day the final rule was published. 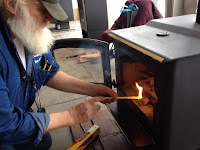 Two of the greatest threats to stoves burning clean in homes are things that Houck never mentioned: tuning primary air for cribwood, not cordwood, and the EPA requirement that stoves burn at a low burn rate. Together, those requirements almost guarantee that cordwood stoves in homes are likely to produce smoke at their lowest burn rate. Jim Houck does not mention the upcoming switch to cordwood testing laid out in the newest NSPS. Nor does he mention that the cordwood test method will include a cold start. Granted, emissions will still be measured in grams per hour and the process of getting to cordwood testing is fraught with scientific, political and legal potholes. But industry, the EPA and other key stakeholders at least see the need and value of getting there. Houck’s article is about non-catalytic stoves. The testing, repeatability and other issues can be very different with catalytic and pellet stoves. Together, pellet and catalytic stoves make up one third or more of stove sales. It should not be anathema to recognize that other technologies can achieve greater repeatability in the lab and greater consistency between the lab and the living room. Otherwise, it makes it sound that all biomass heaters are far dirtier in the homes than in labs which is not true with pellet stoves and boilers. If consistency is the goal, we need to focus on technologies which can do that best, including automated stoves that use sensors to regulate primary and secondary air. Homeowners can never keep track of changing combustion conditions like an oxygen sensor can. It’s also worthwhile looking at regulatory frameworks in other countries to see if better stoves emerge where they test using grams per unit of heat and avoid other pitfalls of our NSPS. Looking at non-cat wood stoves produced by various European countries, New Zealand and elsewhere, I think we can pretty safely say that our non-cat stoves measure up very well, if not better than stoves from those countries. Part of the answer is because regulations in those countries allow for a different set of loopholes and types of gamesmanship. The bottom line is that it appears that despite all the failings of the NSPS, it still may be one of the best regulatory systems anywhere for conventional wood stoves. 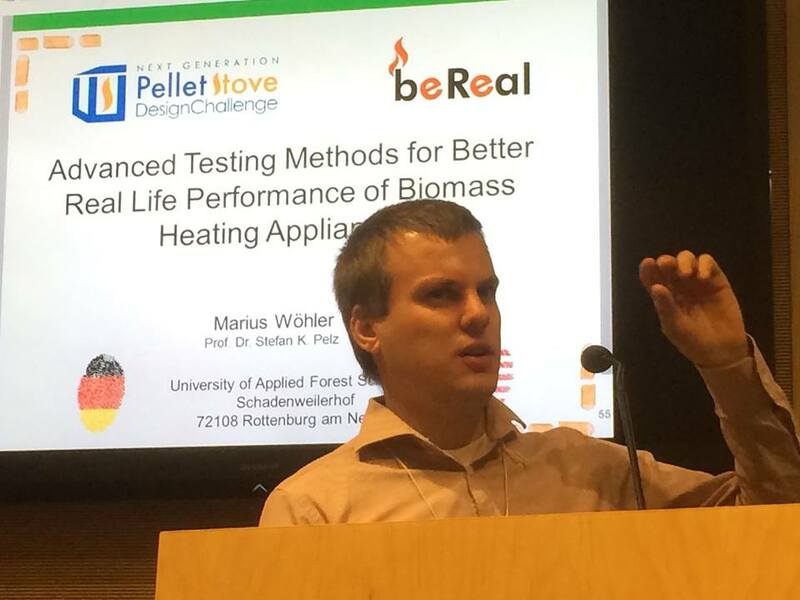 Europeans have advanced wood and pellet boiler technology faster than the US because higher heating fuel prices and policies promoting renewable energy have led to a greater demand for efficient technology. 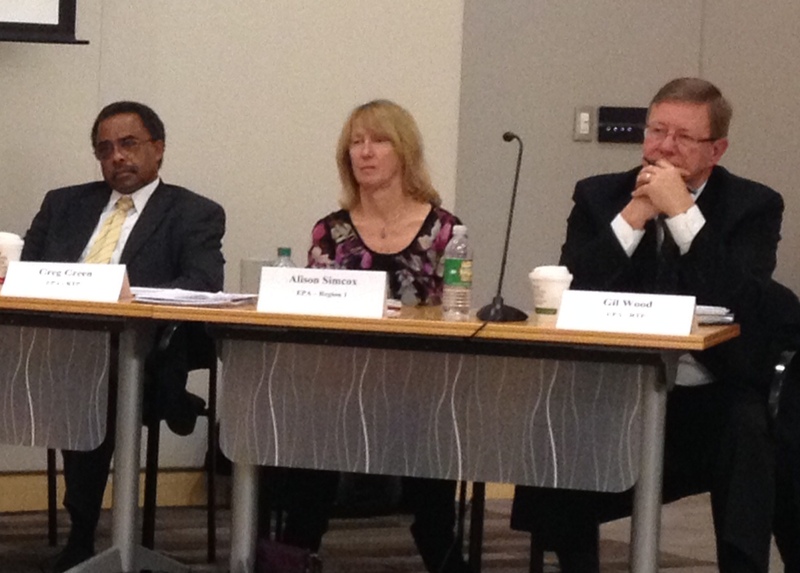 Houck says that the 1988 NSPS was bad and notes that hundreds of companies went out of business because of it. But it did result in a new generation of cleaner stoves that appear to be about 50% cleaner. Houck recalled that we are now saddled with the legacy of the 1988 test method thanks to one stubborn regulator who strongly advocated it and subsequent bureaucratic inertia. Making radical changes to the NSPS is difficult for the EPA, due in part to its lack of resources—a condition which is likely to get worse under the current administration. In fact, the lack of resources at the EPA could hobble the stove industry even more than the new regulations. As it is now, there is only one official who does enforcement, which includes approving lab certifications. If that person’s time were to be cut back even more, it could pose serious economic consequences for manufacturers trying to get stoves to market for the heating season. In 1988, the EPA almost adopted a test method using the Condar, a very small portable dilution tunnel that uses larger filters. Some data from the Masonry Heater Association shows that by simply using a larger filter to catch PM, the repeatability of testing can be significantly improved (powerpoint). But any radical change to test methods would likely have to come from a transparent process driven by an institution that has the funding and credibility to carry it out. Universities or labs could develop of a better test method, but stoves do not have the same level of R&D support from Congress, DOE or other potential major funders that other renewables have. In Europe, there is more public funding and the BeReal project is doing far more extensive round robin testing than what Houck describes in the US. Some agencies and groups prefer to see stove technology stagnate and have its market share wither, due to antipathy or ambivalence toward this complicated creature that can be affordable to homeowners but too often noxious to neighbors. We will never know what would have happened if the regulators had written better test methods. Perhaps todays’ stoves would reduce PM by 60 or 70%, instead of the 50% that Houck cites. We also don’t know how much better stoves will be 10 years from now after the 2015 NSPS plays out. It appears that few stove manufacturers will go out of business this time around, partially because many of them also rely on profits from their gas stove lines. But will the stoves really be cleaner in the hands of average homeowners? The NSPS is supposed to be updated every 8 years, so theoretically there will be regular opportunities to improve the testing process. If we can get to cordwood testing in the next 5 years, possibly the next NSPS could move to testing grams per unit of heat. Litigation over this NSPS may bring some relief to some boiler and furnace manufacturers and others, but it may have the opposite impact on support for wood heating among civil society in general. 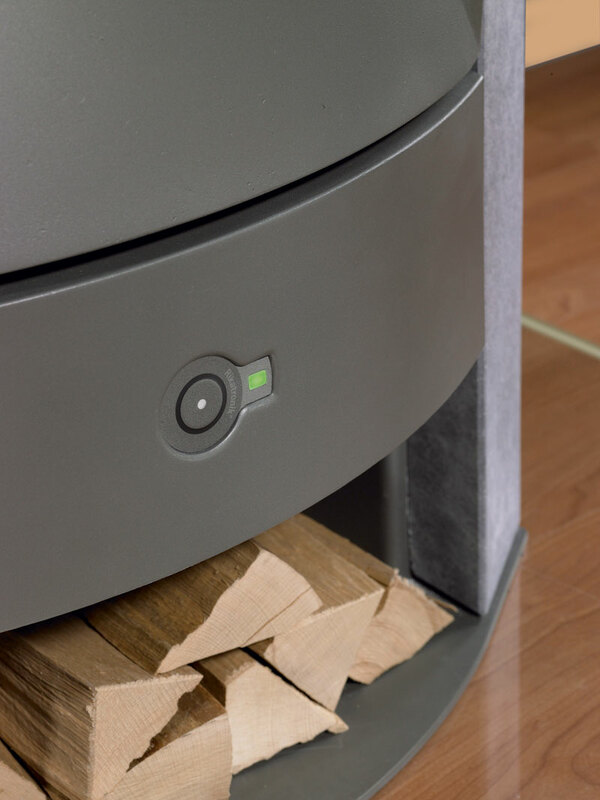 Attitudes of the general public that shape policies at all levels of government, our media, the non-profit sector, etc., will have to change if wood heating is really going to be a growing renewable energy technology. We have hosted the Wood Stove Design Challenge, with the next one scheduled for November 2018, to see if we can focus attention and resources on genuine technological advances that make stoves cleaner in homes. Public opinion will only change when stove technology changes and stoves become cleaner not just in the lab, but also in our communities. The 2015 NSPS alone will not get us there, for all the reasons Jim Houck outlined, but it is still possible to get there. Scott Nichols, owner of Tarm Biomass that distributes European made boilers sent in a response to this blog and we reproduced it below. Scott is also on the Board of Advisors of the Alliance for Green Heat. I agree with a great deal of what Dr. Houck wrote. The single biggest problem with emissions from wood burning is that old stock remains in the market. Inherent test variability for appliances designed to burn firewood is also a problem without a doubt. in institutions and homes in New England. 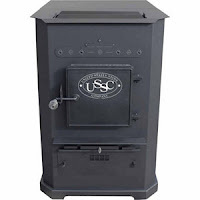 Of course, my world is now the boiler world and the some of the testing used for boilers solves several of the problems inherent with wood stove testing. I’ll mention some of the differences, as It may spur some ideas as you think about testing for woodstoves. 1) The partial thermal storage test method is a cold to cold test, which is more indicative of both worst case and standard conditions. 2) Boiler PM is reported in lbs/MM Btu, which eliminates the appliance size conundrum that Dr. Houck mentions at length. 1) Boilers very often include lambda technology, which enables the boiler to react to real time stack conditions by adjusting combustion air to optimize combustion. Lambda technology improves cleanliness by helping the appliance to accommodate various wood moistures, volatility of the fuel, size and shape of the fuel, draft, and other factors in real time. 2) Some regulators are already thinking about how to encourage lambda technology because they know that outside of the lab, such technology can more closely provide results as tested in laboratories. 3) Boilers are built much more robustly than stoves and usually do not use catalysts that deteriorate over time. They therefore tend to produce as tested results for a longer period of time. 4) Thermal storage allows for what is effectively single burn rate operation. In a laboratory that can result in 4 test runs in which the boiler operates identically from run to run at full output. This enables more comparable data for each test even though each run is weighted differently. 5) Round robin lab testing of one of our boilers has been underway for months. That testing has been funded by NYSERDA. We don’t know the final results yet, but it is important to note that people are thinking about repeatability and are putting money behind learning more. Initial results, before we were removed from the viewing process, indicated that repeatability was a problem. 1) Boilers are tested in room temperature laboratories. Outdoor boilers are therefore provided an efficiency advantage because jacket heat losses in the laboratory do not reflect the real world. 2) Wood fuel used in outdoor boilers is always the temperature of the outdoors in the real world, not room temperature. If you put 150 pounds of wood in a boiler and it is 10 F outside, combustion will be substantially different than if that wood is 60 F warmer in a laboratory. Energy System Auto Pellet Air. One of the big loopholes in the new EPA wood and pellet heater regulations is closing this month. Small forced air furnaces were required to meet new emission regulations in May 2016, but many very small furnaces declared themselves to be large furnaces, giving them until May 2017 to meet the new standards. As of May 16, 2016, all forced air furnaces, large and small, must emit no more than 0.93 lbs per mmBTU of heat output regardless of whether they are wood or pellet units. In April 2017, there were six certified forced air furnaces, four of which use wood and two of which use pellets. The average emissions rate ranges between 0.06 to 0.84 lbs, with the average at 0.411 lbs, less than half the current standard. However, as of 2020, this class of heaters must meet a far stricter standard of 0.15 lbs/mmBTU. (This is the subject of litigation by the HPBA.) 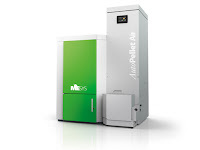 Only one of the current six models, the Maine Energy System Auto Pellet Air, emits less than 0.15 lbs, but it has to be retested using a different test method to comply with the 2020 standards. 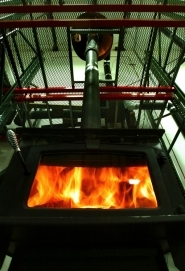 has a 33% efficient log wood furnace. At the end of May 2017, it will be clear how which forced air furnaces did not get certified. 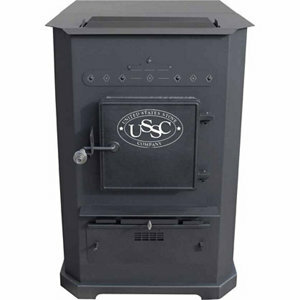 There are many more coal furnaces on the market today, compared with 3 or 4 years ago, as some companies have added grates and other slight modifications to outdoor wood boilers and furnaces in order to keep them on the market as coal units. Coal heaters are still not covered by EPA emission regulations, so renaming a wood boiler or furnace a coal boiler or furnace is still a loophole used by some companies.